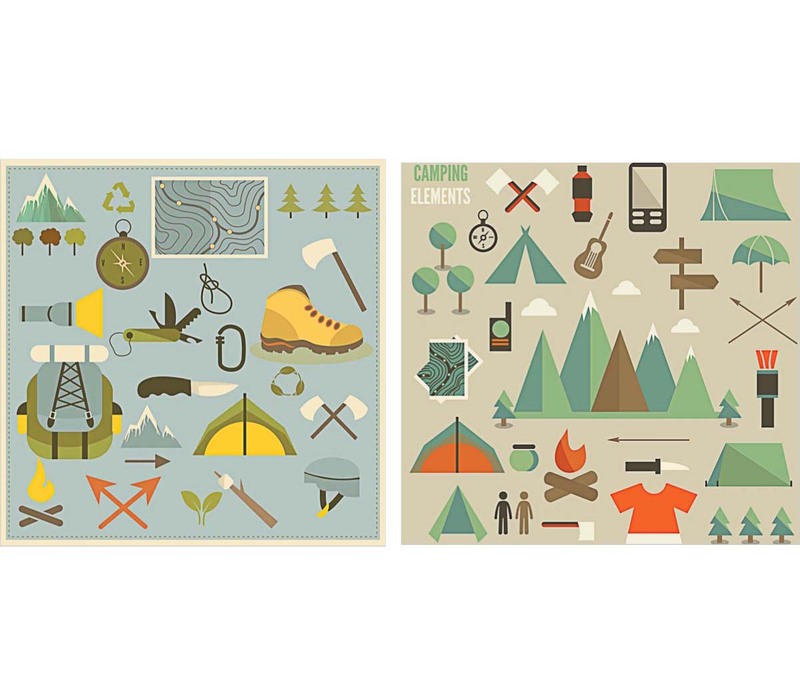 Compilation of vectors with hiking and camping elements: tent, axes, forest, mountains, fire, navigator, knife, backpack etc. for your illustrations and designs. 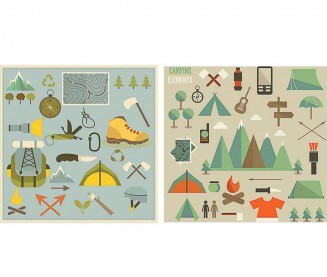 Tags: camping, decorative elements, fire, forest, hiking, knife, mountains, tent.